You may recall that in October, I issued an update regarding the issuance of the new FCRA “Summary of Consumer Rights” form. Well, the FCRA continues to be a source of confusion and risk. The Act contains a series of steps that one must follow, and the failure to do any of them can create liability. A federal Court recently held that an employer violated the Act when it failed to provide a copy of a consumer report to an applicant before it took an adverse action against her. In this particular case, the employer rejected three applicants who had prior drug-related convictions. Unfortunately, the employer failed to provide the applicants with copies of their consumer reports and notices of their rights under the Act before making this decision. The applicants filed a class action suit against the company, arguing that it had violated the terms of the FCRA. The employer argued that its apparent violation was irrelevant because the consumer reports were accurate and the plaintiffs would not have been hired in any case. The court rejected the employer’s argument and held that the law as clear: (1) that an employer must provide a consumer report and FCRA rights disclosure; and (2) that it must do so before it takes any adverse action. The accuracy of the report is not a defense to an employer’s failure to comply with the Act. A prospective employee has the right to receive their consumer report and a description of their rights under the FCRA before an employer takes any form of an adverse action against them on the basis of information discovered in the report—regardless of how accurate the background check may be. Many employers make the mistake of revoking an offer or rejecting an applicant before they provide the applicant with a copy of the report and the rights disclosure, or they fail to give these documents to the applicant at all. And, most of the time nothing comes of these omissions. However, we need to be aware that doing so can create a viable claim for the applicant and that applicants are becoming more aware of their rights every day. The obvious best practice is to make sure that you know what the FCRA requires and that you create a system to ensure that you meet each of these requirements. Remember, the FCRA is tricky. Mr. Stovall concentrates his practice in the areas of labor & employment law, corporate formation, business, corporate and fiduciary litigation. 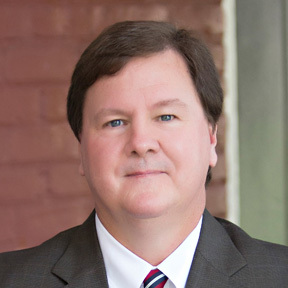 Mr. Stovall represents individuals, private employers and public entities. Mr. Stovall is a frequent speaker, author and trainer, primarily in the areas of labor & employment law.